I read this article and found it very interesting, thought it might be something for you. The article is called India bans Rs 500 and 1,000 rupee notes with immediate effect and is located at http://www.panasiabiz.com/9663/india-bans-rs-500-1000-rupee-notes-immediate-effect/. 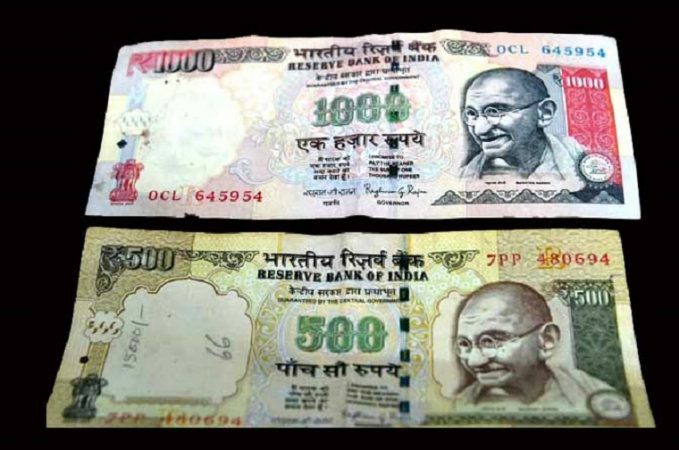 Prime Minister Narender Modi announced the ban of rupee 500 and rupee 1000 notes in his public address Tuesday, that was aired live on all news channels. Modi informed that that the notes will cease to be legal for any purpose. This decision from the Central Government has fetched mixed reactions from various corners. Several political parties praised Narendra Modi for his daring move, while Kerala Finance Minister and CPI (M) leader Thomas Isaac lashed out against the Prime Minister stating that it is a foolish decision. Some Congress leaders too expressed some concern over the current developments. The government has given time to banks to adjust to new system and thus all the banks in India will remain closed today for public dealing and ATMs will also not function today and in some places tomorrow ATMs may not remain functional. Public can deposit old 500 and 1000 rupee notes in banks or post offices from Nov 10 to Dec 30, 2016 without any limits. Initially only Rs 10,000 daily a maximum of Rs. 20,000 can be withdrawn from accounts in a week but this limit will be increased in coming days. The limit for withdrawal from ATMs will be Rs 2,000 per day till Nov 18. No date has been given for increasing the withdrawal limit till now as the limit shall be increased only after the currency demand smoothens. For exchanging notes in cash at the counters in banks the public has time of fifteen days but Aadhar card or PanCard is mandatory and the limit for cash exchange is Rs 4000 per day till Nov 24 from the same bank where you have an account. Plastic money will remain functional and all online debit and credit card and transactions can be done as usual. Old currency notes and coins for value upto Rs 100 will remain functional.